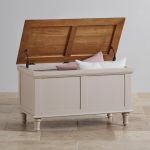 Our Shay blanket box is a timeless twist on a classic storage solution. 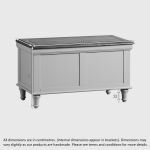 Beautiful in living rooms and bedrooms, its deep base is the perfect place to store linens or blankets, act as an toy chest, or hide unsightly clutter away. 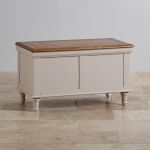 This blanket box features all the design hallmarks of our Shay collection, which was crafted to embody simple elegance. 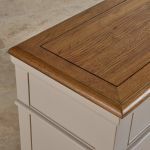 The 100% solid hardwood base has simple panelling detail, and an appealing smooth painted finish. 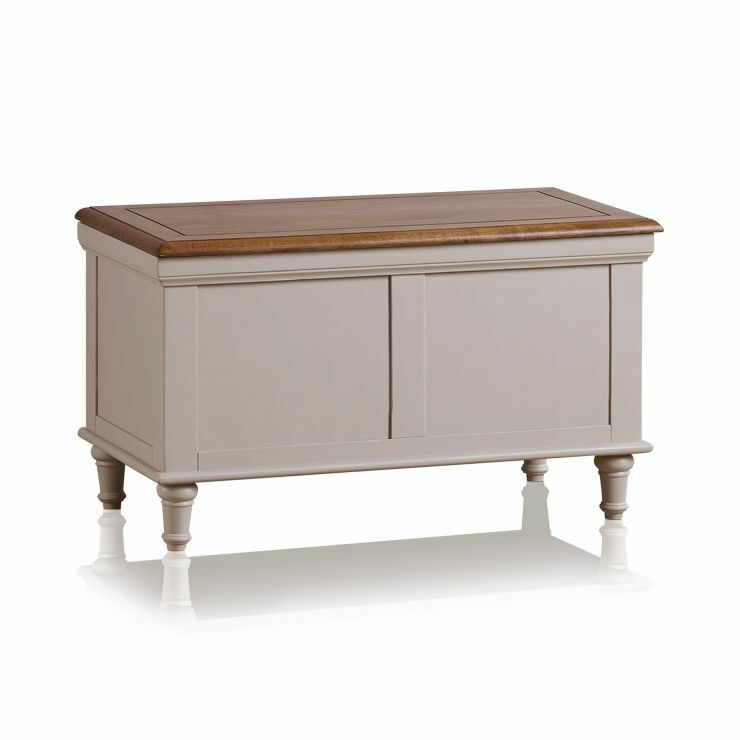 The top is made from rustic solid oak which perfectly matches with the almond grey paint shade below. 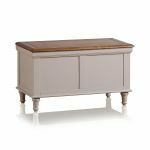 The delicate cornice detail on top and turned feet complete the styling of the piece, which fits easily into the modern living room. 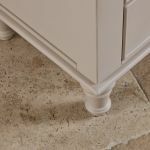 As with all of our products, it is finished to incredibly high quality standards, with an easy to use opening mechanism, and only real hardwood used throughout. 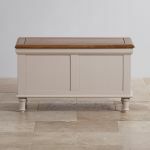 Even the back and base is made from solid hardwood, so you know your new Shay blanket box will look good from every angle. Browse the full Shay range today to find your favourite pieces for every room.